This completely non-smoking hotel is located 1 km from Walt Disney World and features a daily hot continental breakfast with waffles, eggs and meat. 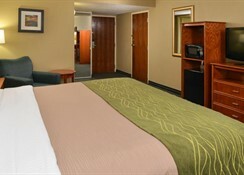 Each spacious room features a microwave and refrigerator and coffee-making facilities. 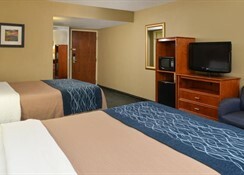 Guests can also enjoy a flat-screen cable TV and a radio alarm clock. 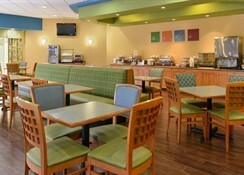 A business centre and fitness centre are on site at Comfort Inn Orlando. The hotel also features a large outdoor swimming pool, complete with a waterfall and water slide. 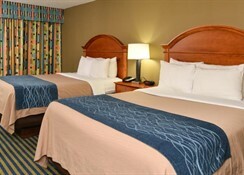 The Orlando Comfort Inn offers a free transfer service to Walt Disney World Resort, Sea World and Universal Studios Orlando. Shopping at the Mall of Millennia is just 15 minutes' drive away. Lake Buena Vista is a great choice for travellers interested in universal studios, parks and outlets. 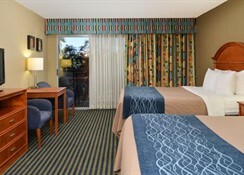 This first-class, family-friendly hotel is a fully non-smoking property, and is very close to the Walt Disney Resort. 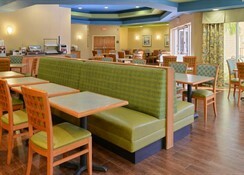 The property was built in 1988, it has 200 rooms spread over 7 floors and was renovated in 2006. The traditional rooms come with flat-screen TVs, free Wi-Fi, minifridges and microwaves. All also offer coffeemakers and desks. Freebies include a hot breakfast buffet, parking and an area shuttle. Other perks are a 24/7 convenience store, an outdoor pool with a waterslide, and an exercise room, as well as a business center. 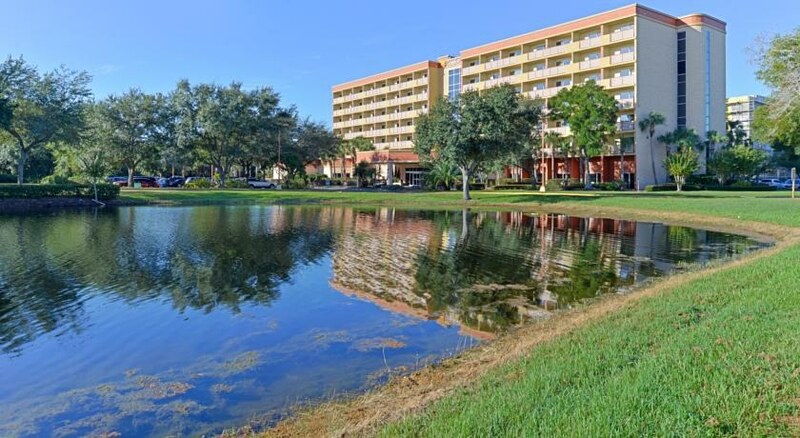 Set 0.5 miles from the Walt Disney World entrance, this modern hotel lies 2 miles from the Downtown Disney shopping area and 8 miles from Island Adventure amusement and theme park.